Two varieties of seaweed pulverized into a powder offering 92 trace minerals of which makes up the body. The same minerals in the earth and the sea are found within our bodies. 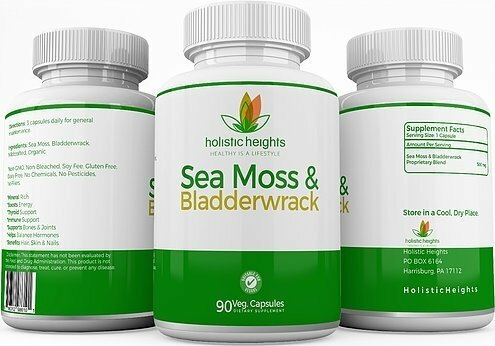 Ingredients: *Bladderwrack & *Sea Moss. *Non-GMO, Non-Bleached, Gluten Free, Dairy Free, No Chemicals, No Pesticides, No Fillers. For both Male & Female. Do not use if diagnosed with hyperthyrodism or cardiovascular problems. Bladderwrack boosts the metabolism, do not use if you are extremely underweight or if you do not want to lose fat or weight. Consult with your medical doctor for pregnancy and breastfeeding and those on prescription drugs.